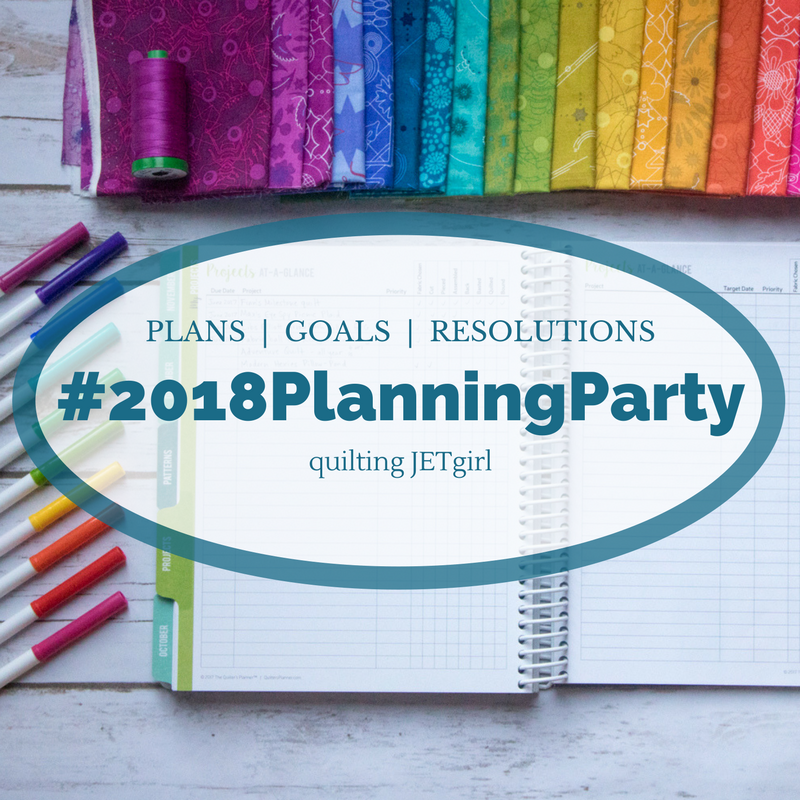 I’m joining the #2018PlanningParty hosted by Quilting Jet Girl, and so I’ve been thinking about some goals for 2018. I’ll spare you the lose weight/ do more exercise/ be a better person resolutions and cut straight to the sewing ones! 2017 was the year that I got into quilting, and joined the South West Modern Quilt Guild. I’ve made some wonderful new friends and reconnected with a few people I knew a while ago. It’s been a great year for sewing and I’ve learned so much. My plan for 2018 is to keep trying new projects by making things from the books and patterns I already have. And I’m not going to buy any new supplies this year unless I need something to complete a project. I don’t like having too much of a stash, and it’s been piling up recently! Some of the books stacked up above were Christmas presents (thank you Mr D) but others I have had for ages. I also have some 3rd Story Workshop patterns, Jo Avery’s Vintage Home block of the month and some online courses which I haven’t watched yet. I particularly want to try piecing curves, and do some more complex foundation piecing. I’m interested in trying natural fabric dyeing , but haven’t got round to it, so I’m booked on a course with Flora Arbuthnott in May. Very excited about that! For clothes sewing, I’ve had the Alabama Stitching book for a while, and will probably try the Swing Skirt first – maybe just a plain version as a practice for an embroidered one. I bought some lingerie making supplies from a friend’s destash almost a year ago and haven’t used them (as well as some less fancy, practice supplies), so that is on the list too. So 2018 will be a year of learning new skills and trying not to go shopping! I hope that the planning and thinking ahead for 2018 helps you feel confident in what you choose to work on during the year. Thank you so much for linking up! Good luck with the no shopping! You have some awesome books there so you should learn some interesting techniques and finish with some beautiful makes.